You’re listening to Athleisure Kitchen, where you’ll get the inside scoop with those in the culinary world from celebrity chefs, food personalities, restaurateurs and more. I’m your host, Kimmie Smith of Athleisure Mag, so set an extra plate as we chat all things culinary. We’ve been aware of Celebrity Fitness Trainer, Lacey Stone, for a number of years! She has parlayed her talents as a celebrity trainer on E!’s Revenge Body with Khloe Kardashian for the past 2 seasons of the show. We sat down with Lacey to talk about how this basketball player became interested in becoming a fitness trainer and how she catapulted it into taking on celeb clients, working with various fitness methods, how she inspires others as well as who inspires her. 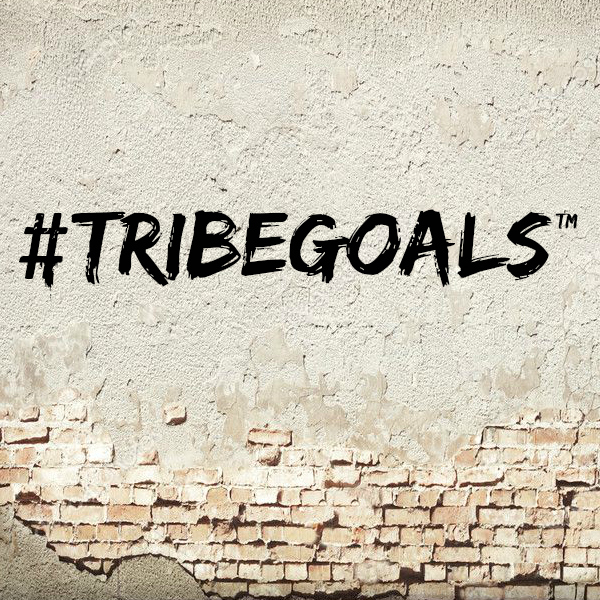 In this podcast of #TribeGoals, we get the scoop on a number of upcoming projects and the importance of body, mind and soul when you’re making changes in your life whether it’s meeting a fitness goal or taking other important steps. This episode of #TRIBEGOALS is brought to you in part by Core Power Protein Shakes by Fairlife and was recorded live at Brookfield Place. La La Anthony has had a phenomenal career that began in radio, continued with her being a host on TRL, continuing on to a series of successful seasons of her own show on VH1, being a bestselling author and of course her role on STARZ Network’s Power. As she is currently back on set filming another season of this epic show, #TribeGoals took a few minutes to talk with her about who she is inspired by, how she is able to stay organized in the midst of a busy schedule while juggling being a mom and more. This Spring, we've got GOOD news. Our Style Director, Kimmie Smith will be a part of The GOOD Festival in April. What’s GOOD? It’s an entire day dedicated to health and wellness - a festival dedicated to feeling GOOD and creating a life that fulfills you. Join our Style Director this year in Philly. To put it simply, The GOOD Fest includes: good vibes, a kickass workout, serious inspiration from those in the wellness space, great food, and an unbelievable sense of community. GOOD is an event that will challenge and excite you - and leave you happier, healthier, and more fulfilled than when you arrived. Join us before the holiday madness seriously kicks in with our second Athleisure Live at Row House NYC! This event is invite only for fitness and fashion influencers and media as we enjoy a session and curated goodie bags! Find out more about Athleisure Live events. Find out more about Athleisure House NYFW events. New York Fashion Week comes together with hundreds of runway shows, fashion presentations, events and more to celebrate fashion and the upcoming Spring/Summer 2016 season. Recognized for infusing hospitality with musical experiences, Hard Rock Hotels & Casinos presents the mix. Summer Throwdown DJ contest in partnership with Mixcloud – the worlds leading digital platform for DJs and radio presenters alike. From July 15, 2015 through August 15, 2015, emerging DJ’s and mix masters worldwide are invited to submit their best original mix for a chance to win the opportunity to DJ a live set at Hard Rock Hotel Ibiza.